Nice write ups!!! I like the tech side of it, very interesting. Not sure about the color scheme though, I like the green, but that yellowish I'm not to crazy about. Will have to see that in person to see how it really looks. Wow, that is such a unqiue story on the invention amnd quick evolution of the flash face. And the price is still very palatable, unlike whats been speculated. Great feedback from Team THP already. Cant wait to try them myself and see how the new Sub Zero works. Looks like the same adapter which (for me) is a win if that's right. 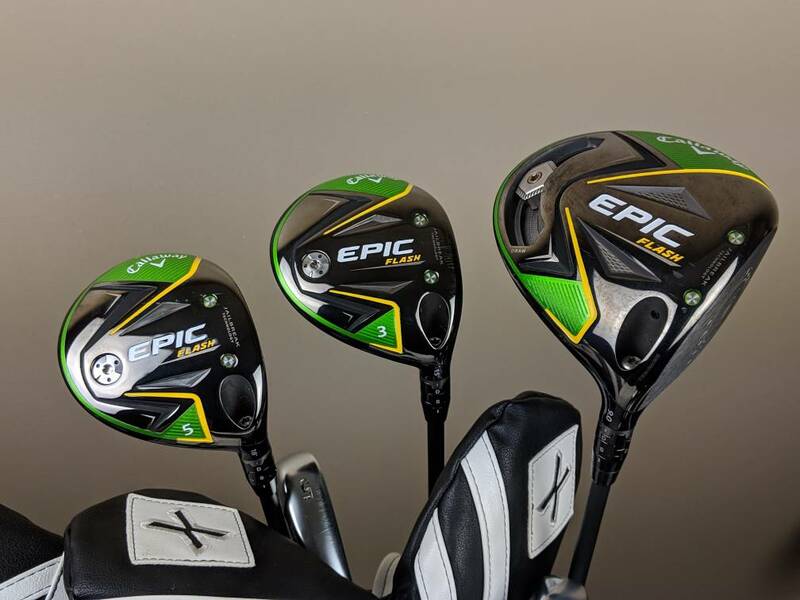 The new 2019 Epic Flash Driver is the new big dog on the block! It’s been an absolute blast to play. There’s a ridiculous amount of tech that comes together to create a system of speed, distance, launch and forgiveness that is intoxicating on well struck shots and shockingly forgiving on off center shots. There were MANY times, I should’ve been punished for the garbage swing I threw at this thing and it still peformed like a champ. It’s not a miracle club so you can still snap hook or slice it, but it is a forgiving performer. That said….hit the middle and MY GOODNESS! 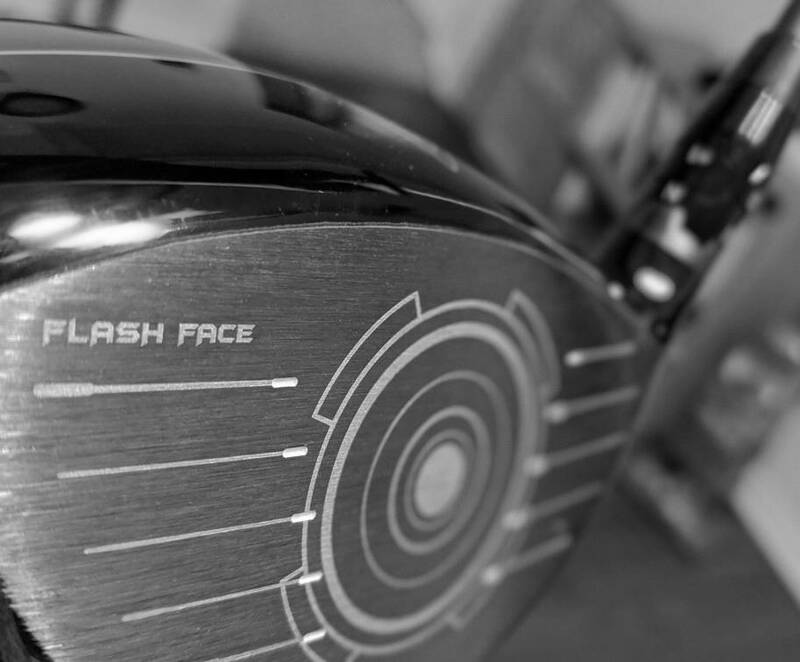 The story around this club is obviously the new Flash Face, which was designed using AI from a supercomputer that in short allowed for maximum optimization through accelerated iterations in design...34 years worth! Long story short. Ball go far! Ball go fast! Lots of thoughts coming, but you really want is pics right? The Epic Flash driver and woods are explosive to say the least! The technology used and developed using a super computer and something like 15,000 iterations/simulations is mind blowing! We were told that running the simulation on a typical home computer would take 34 years, if I remember correctly! 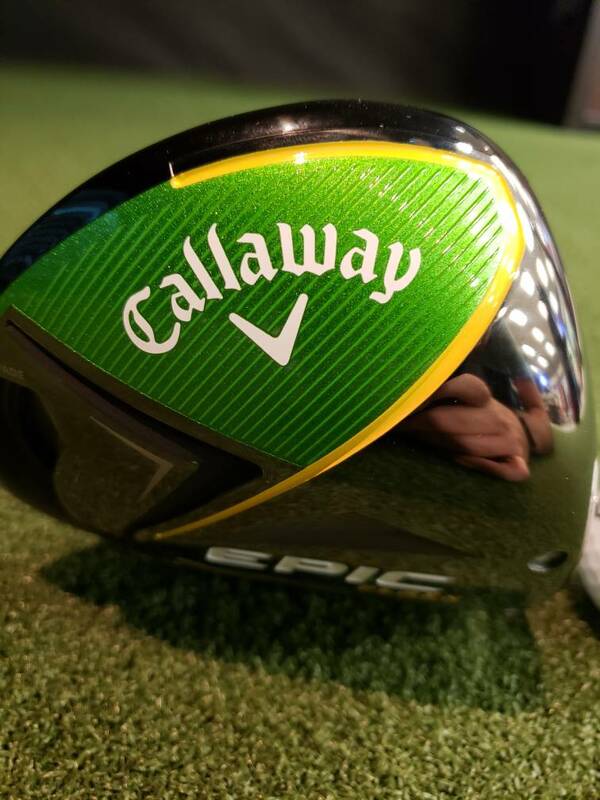 Leasing a super computer to aid in the design like this is not cheap and I’m not sure I’m at liberty to mention exactly how much it costs Callaway. I suspect that this computer is going to play a larger part in the Callaway lineup as time goes by. At the back of the face there are thicker areas next to thinner areas next to thicker areas. One wouldn’t think a design like that would work but it surely does! 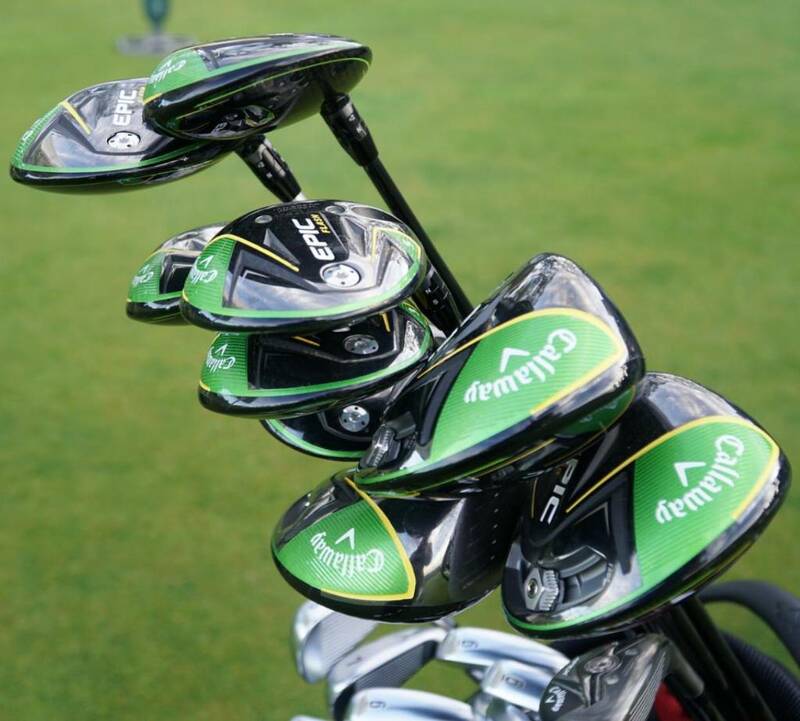 Each face is unique to the head and this technology is used not only in the driver but also the fairway woods. The driver - if you scan the web there has been a lot of criticism of the color choices, some of the graphics on the crown and the sound. I’ll admit that I’m not a big fan of the colors. Give me this driver and another with a color scheme more to my liking and I might gravitate to the other. However, the colors carry through the color green of the Epic driver with a touch of yellow added for differentiation I would assume. I use headcovers so the only time I see the sole is when I take the club out of the bag so in the long run the colors don’t matter to me at all, and the little bit of color at the back of the head is really inconspicuous at address. Not having seen or received the retail headcovers I can’t say anything about them. Some have commented on not liking the gray line that runs across the crown near the face and some do not like the Chevron used as an alignment guide. To each his own but I just don’t understand people not playing a club due to these characteristics! Personally, my focus is on the ball and I don’t even notice these things once I am set up. Sound, some say it’s loud. 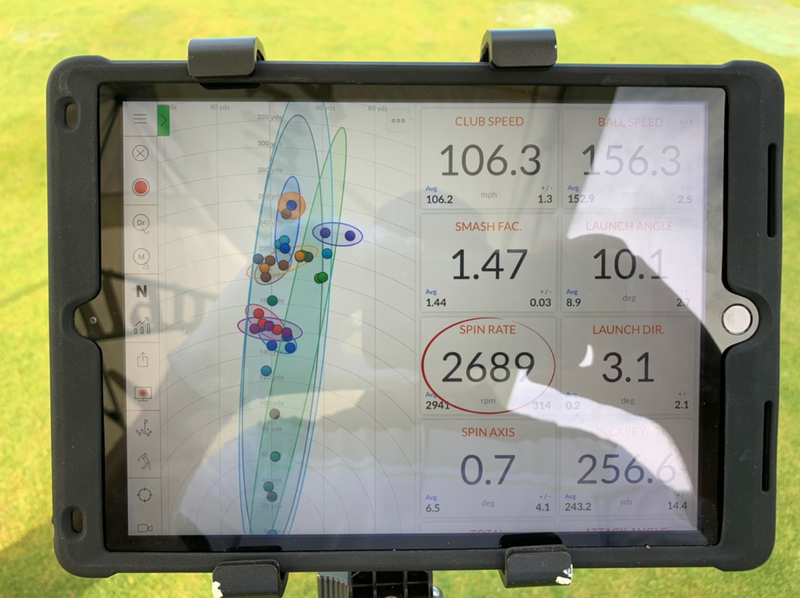 I was fit for the standard Flash and I’ve only used the driver in the +1/D configuration with the sliding weight full draw and the sound to me is not loud but solid and explosive. 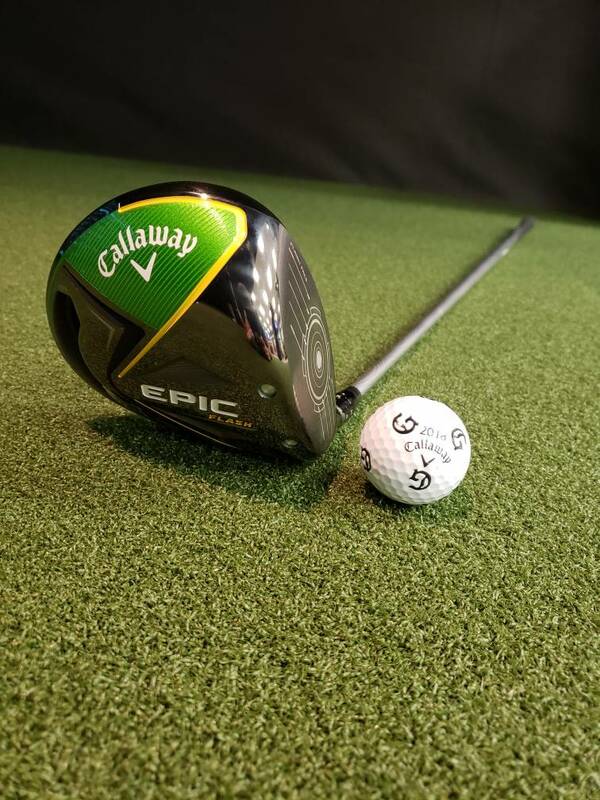 The ball seems to jump off the face and I am typically seeing yardage increases over the Epic by as much as 10 yards by my estimate in the chilly, 50° and soft conditions. I’ve certainly seen gains well in excess of that from time to time as well. With this configuration the dispersion is extremely tight and the ball flies straight with an occasional baby draw for me. I’ve hit a few nearer the heel and have been surprised, pleasantly surprised to get out to my ball and found I lost so little yardage! Last edited by Phil75070; 01-04-2019 at 10:58 AM. I can’t say this enough, but this driver is long! I haven’t hit 275+ in a while. I hit a few drives out on the course that had to be very close to 300 yards. When you hit this club pure, it just goes and goes! Also, I would like to add that this club is super forgiving. Even with mishits, it wasn’t bad. 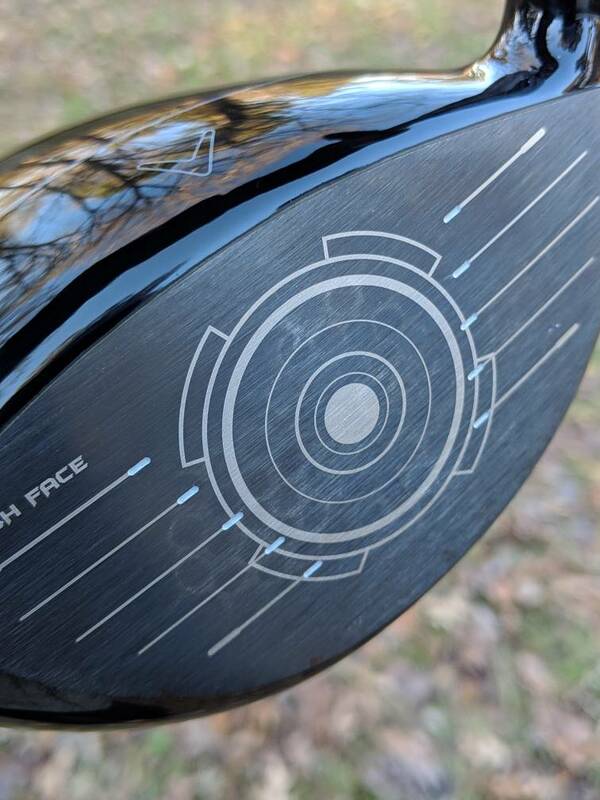 I haven’t gamed a Callaway driver since the Biggest Big Bertha, which was an old driver, but played it up until about 4 years ago and then went through a couple of trials and have been gaming the 2016 TM M1 up until this event. 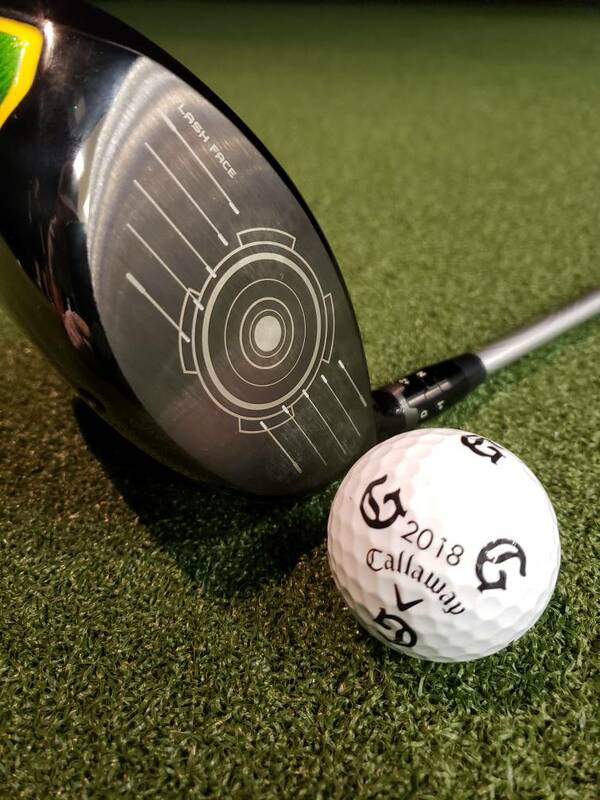 Callaway got it right with this one. I hit my old driver which was a 10.5 super high and ended up getting fit to a 9*, with minus 1* on this one. It’s going to take an act of congress to get this out of my bag, unless Callaway just outdoes theirself again, which I know will happen. Either way, this club is just amazing! So, since being back from the event, I have still seen a gain in distance. It has been awhile since I was consistently hitting 275+ and even when I played a couple of weeks ago right after my gramps passed I was seeing 260ish average hitting into 15mph winds. One thing to keep in mind too is that I am seeing summer distances in cooler temps 40s to 50s, so I am interested to see what the distances work out in warmer temps. More to come! Last edited by ttucliffhanger; 01-04-2019 at 12:38 PM. I posted this I. The fairways thread but interested in the #s in here also. How much ball speed did the GD participants pickup? Do you know? FREAKING AI man, the machines are coming for us! That absolutely blew me away. You can't really top that and it definitely speaks to your Chip Brewer quote from last night. I guess I am I the minority. I like the color scheme a lot. To me it screams, “look at me,” without being garish. 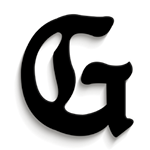 You Grandaddy guys are killing it with your reviews and information. Thanks so much. I'd be curious about the supercomputer and AI...but I digress. The Epic Flash has given me the confidence at the tee box with the “big stick”. To give a backstory I tried driver (hand me down from my dad, not fitted into, also not adjustable) years ago with no success and my dad always told me the way I hit my 3 wood to not even think about it due to the length I’d get. Wasn’t always accurate but when hit properly it worked great. So of course my mind wondered what I could do with an actual driver that fit me. 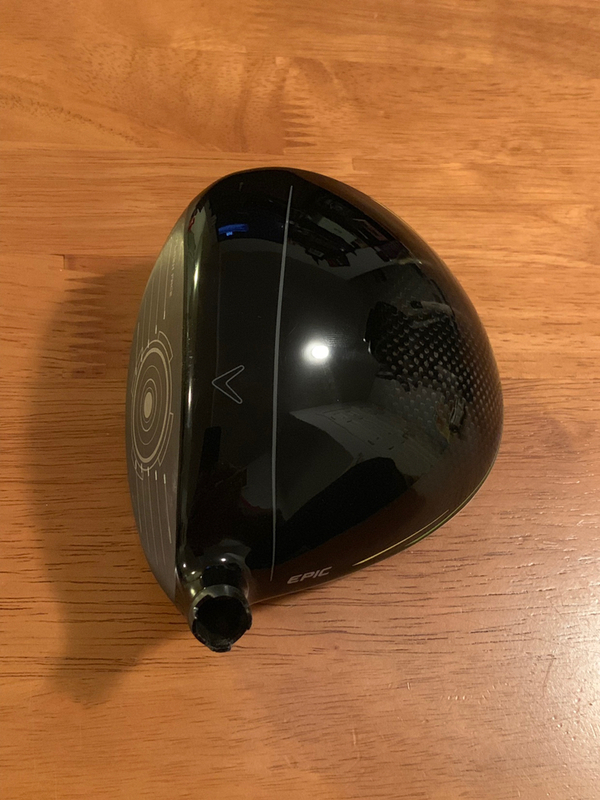 2017 I used the driver again and when I connected on it I would go very far, 250-260 for me. Unfortunately most shots were high balloons that faded but mainly sliced so in 2018 I elected to go back to a 3W instead to try to gain more forgiveness off the tee. At the Grandaddy fitting, Jason worked with me on shaft and suggested an x-stiff flex since I was 105-107 on most shots we then worked on the loft and draw settings so we took a 9* head and put it in the -1/D setting and also worked on moving the weight all the way down into the draw area too. My main problem initially was not turning the club over enough but I think that was me as my normal swing sometimes does a figure 8, along with just being exhausted too with the fitting since it was the final club. After his last adjustments my final shot went straight and 270 carry, we found our winner and I had a huge smile on my face. I think he did too, huge thanks to my fitter for putting up with my swing!! At the Hideaway I was pushing the ball at times and think that was also due to not finishing or my usual over the top swing, but when I turned completely I would just bomb this ball and was getting really good distance on soft soggy fairways. The lack of confidence in the driver was gone and I was constantly using driver at each tee. Even the miss hits felt off in my hands as if I could tell it wasn’t quite right, but the ball still went just as far. 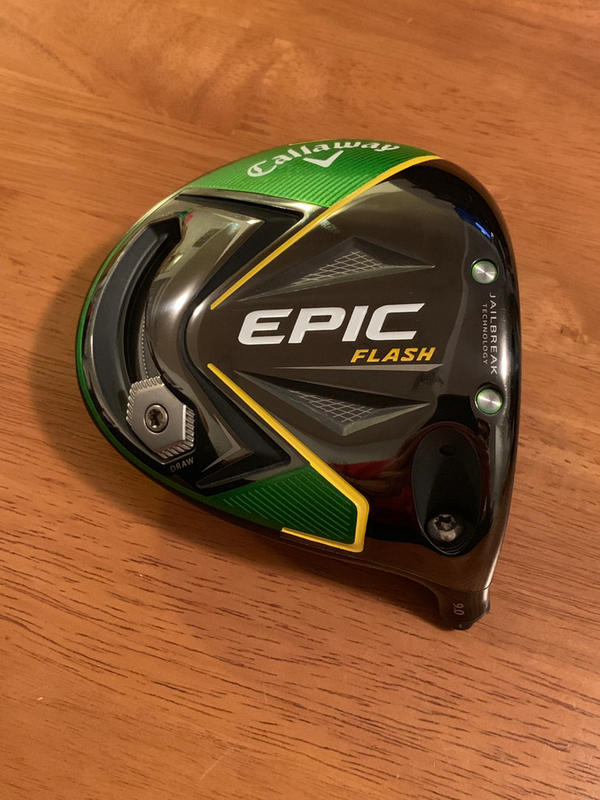 The Flash Face paired with Jailbreak will be very helpful for a golfer like myself that isn’t used to using a driver and had issues hitting the sweet spot frequently. I went to the range last week and hit fades and draws (not on demand though, working on that part), but most importantly I had no slices and a ton of straight shots that just took off. Wish I could see how far they went but was hard to track where they landed (maybe a good thing..). With respect to looks and feel, The yellow is starting to grow on me! Makes sense to keep the green since it’s an Epic driver, and I understand the reason behind the yellow. I’ll rarely have it exposed without a headcover so the overall look of the sole doesn’t bother me too much. Looking down it’s got the same Chevon design for alignment which I like, along with a line running around the top and bottom too. Could be used for alignment in a way too, I could see myself using it to make sure it’s lined up along a part of my body before swinging. 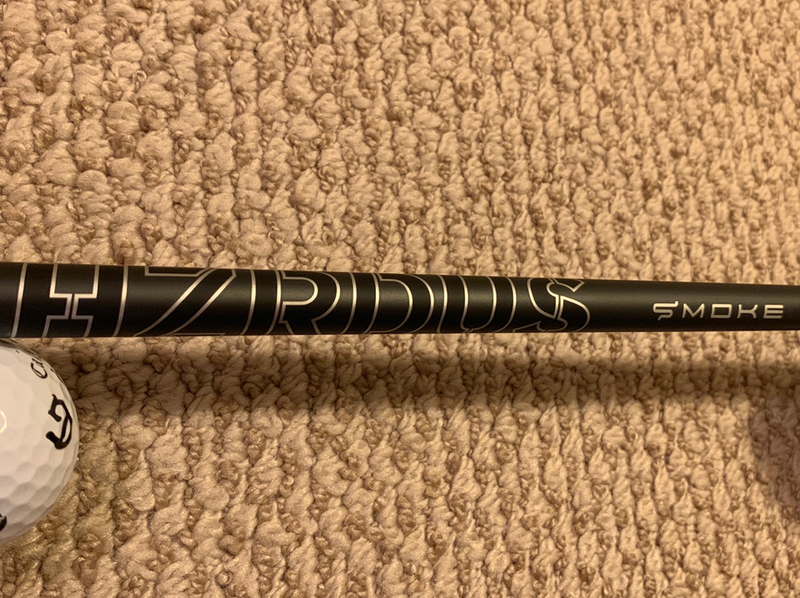 Pairing this with the HZRDUS Smoke shaft gives it a very sleek view when I look down at the clubhead. Look good, play good! !